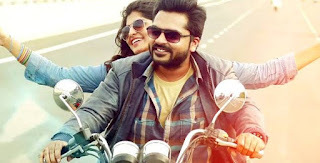 October 2013, Gautham Menon announced that his next film will be with Simbu.. Being a huge Gautham Menon fan, I have been eagerly anticipating for this movie ever since. Finally after a 3 year wait, it was finally released and I had the chance to watch my magician at work again. Here it is now, my review of Acham Yenbadhu Madamaiyada (AYM). It a movie of two halves to be honest. The first half is an AR Rahman Musical filled with the classy execution of Gautham Menon in portraying love sequence. The setting of the house seemed very familiar with VTV in some ways for me and there was a number of VTV reference used in the dialogues which worked well for the scenes. Watch the opening tittle carefully and listen well the monologues at the beginning of the film because Gautham actually tells you what kind of ride you are going to get in this movie. The first half of the movie shows the hero who loves his bike more than anything else and meets his sister's friend who that happen to stay with them during their internship period. He clearly likes her but only makes small talks with her but the scenes were portrayed so beautifully, you just can't help to start falling in love. 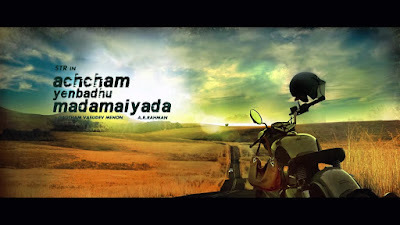 Soon after he decides to do a backpacking trip travelling South India on his bike with his buddy but later changes plan when the heroine says she wants to join in on the trip. From this point on wards you are treated with some brilliant visuals and credit to cinematographer to show us how beautiful India is. He realizes he starts falling in love with her and suddenly tragedy strikes. From here on, the film takes a dark and dangerous twist and we move to an heart racing, nervy action second half. Nobody knows what is happening as the movie goes on. Neither the character or the audience understand why things are turning out such way but all they know is that the hero needs to what ever it takes to stay alive, to find out why this dark chapter is happening. The film ends with the hero finding out what caused all this dark events and how he stops it despite being just a normal boy from a neighborhood. For me the first half reminded me the class of VTV and the AR Rahman Musical was a real treat to watch. 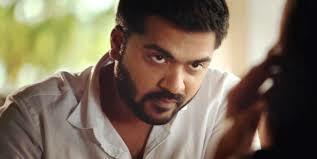 It was beautiful it was classy and Simbu oozing in brilliance under Gautham's mentor-ship. Without a doubt he is my favorite director. The guy is a Mozart, a magician and an artist. To me he has never failed to produce something magical in every film of his and he continues it with this film. 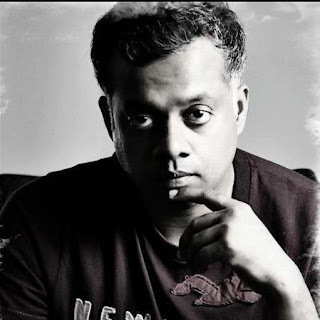 One thing you can count on having a Gautham Menon movie is the beauty of his dialogues. Each monologues, each dialogues uttered are just so ear pleasing to hear. He is indeed a craftsman. Next thing which he always amazes me is the name of his Hero and Heroine, although this time his heroine's name never light it up for me but his hero's name was definitely and well justified why it was such name. You got to watch it to know. Another part he always gets it right is the minor details. 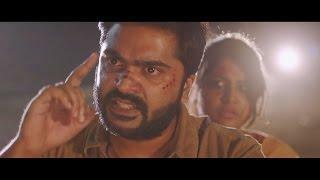 If you noticed in the film when Simbu and the heroine check in the hotel and walks up the stairs, a character seemed a little shocked to see them. During that frame it is very easy to let it slip but the character later plays a major role in the film and Gautham was brilliant to place the character there to make it seem so casual just like another extra in the film. Meanwhile my flaw for him will be the amount of time it took to release the film. Everyone knows that Gautham loves to do an intense and long post production work.. But for a film that was releases in November 2016, they should never have released the teaser back in August 2015, trailer in December 2015, the first single in January 2016 and the album in June 2016. Although this heroine character of a Gautham Menon film will not go down as memorable as his other heroine but she did an amazing job in all her scenes. Her only flaw seems to be she has a little struggle when it comes to crying scenes. If God could play music, it must have been taught by AR Rahman. The man is a genius and each of his songs in this film creates some sort of magic in your heart. The combination of AR Rahman - Gautham Menon- Thamarai has worked wonders with Raasali and Thali Pogathey, which is my two favourites in this film. Such a beautiful review. I totally loved the movie. 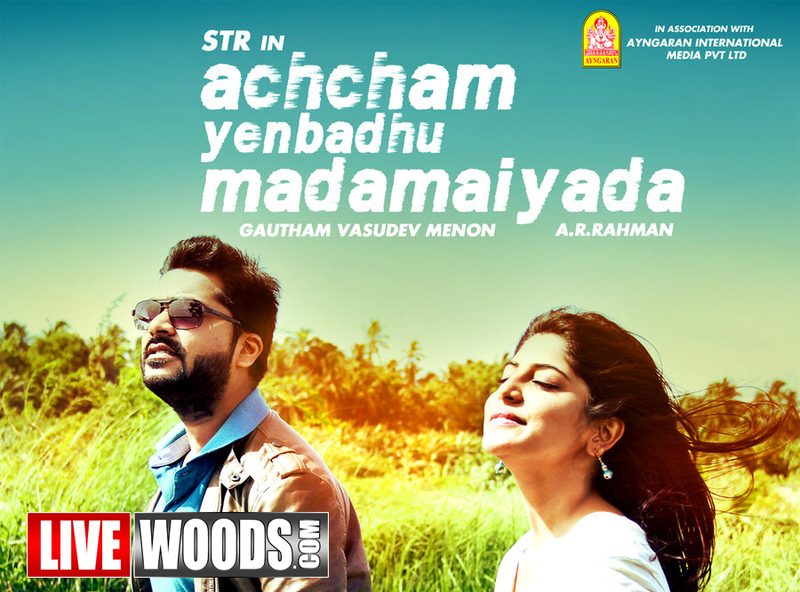 I would say this is one of the best movies released this year and not for forget,AYM is a great comeback for Simbhu. He is a great actor just that he receives poor scripts before this. Overall, I enjoyed it and I'm planning to go for a second show. Thank you so much for the feedback.. Please help share the post to reach out to more people! Got agree this has been one of the best films of the year and one of GVM finest work as well. He went for something very different and I think it was brilliant.. Haha I already dy two shows too!